Such a joy to look at! And a very versatile watch. One of the best executed panda chronograph, IMHO. Enjoy! I know there is not space elsewhere to put it, may otherwise remove it. 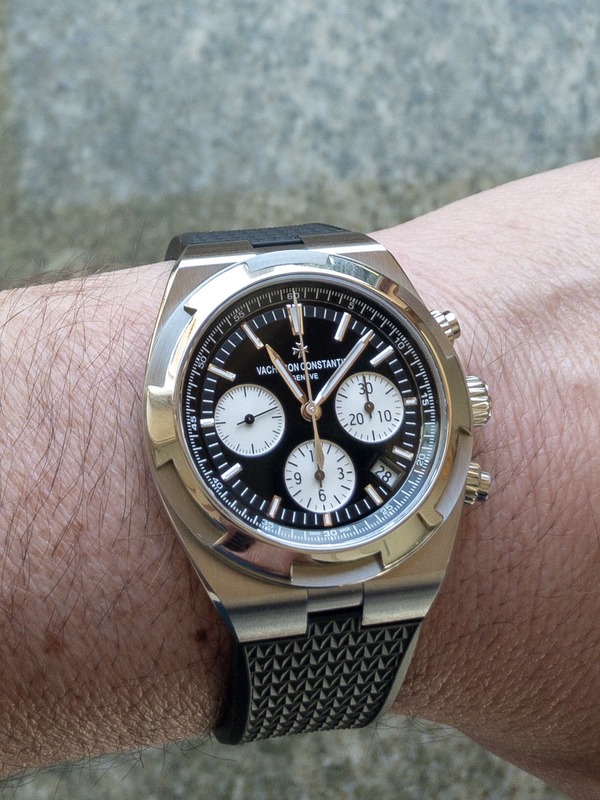 But still, a very beautiful and masculine chronograph. I"ll take this over any daytona, which I think is over-hyped (no offense for Daytona fans). I like the Gen 3. That Panda is is good looking, especially on the strap. I also find the rubber strap a surprisingly nice option to swap with the bracelet. Congratulations, it’s a most sort after VC Overseas now. The dial is very balanced. My favorite Overseas execution by far! 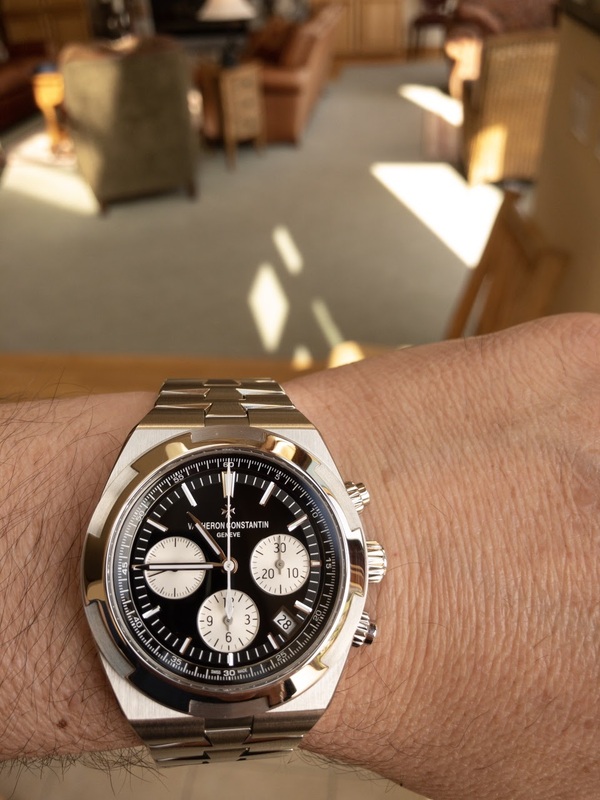 Really an impressive watch with no negatives whatsoever...I am especially drawn to the Overseas on the Massive and oh so comfortable Vasheron Steel Bracelet. Well done sir!